Stars And Garters: Friday Night Fights: Thunder - Round 12: Ride The Lightning! Friday Night Fights: Thunder - Round 12: Ride The Lightning! Since this bout of Friday Night Fights is called "Thunder", what better way to conclude it than with some thunder and lightning? 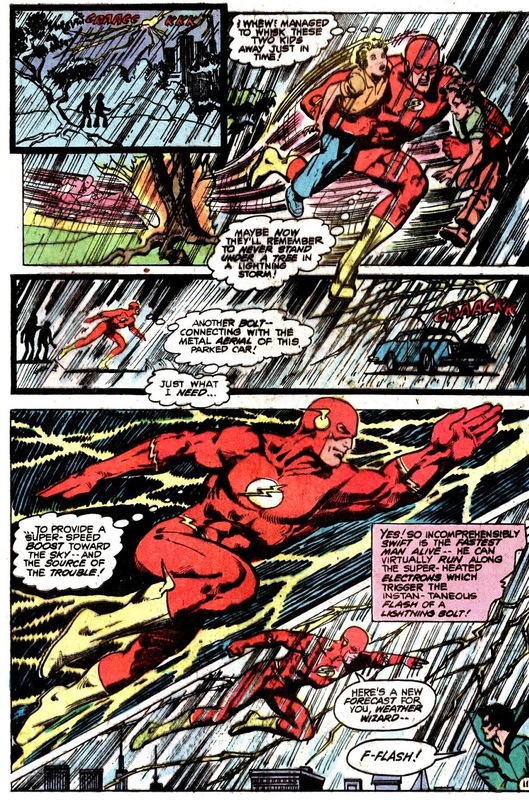 Tonight's forecast calls for some Flash flooding, courtesy of Adventure Comics#466, written by Cary Bates, pencilled by FNF favorite Mike Nasser and inked by Vince Colletta. 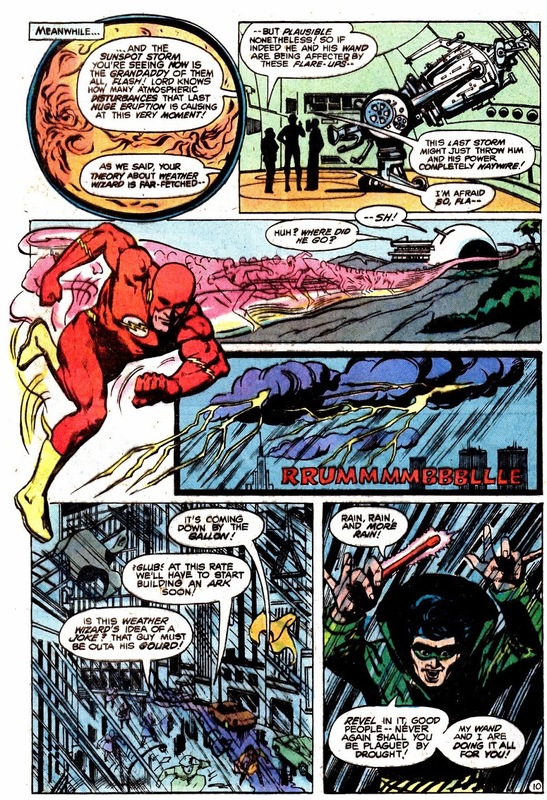 Synopsis: After years as one of the Flash's deadliest Rogues, Mark Mardon aka The Weather Wizard suddenly and inexplicably decides to be a hero and use his Weather Wand's powers for good, performing feats like using a tornado to stop a plague of locusts. The Flash deduces that a recent increase in sunspot activity has affected the wand, transforming Mardon's personality. However, there's a huge problem. In his sunspot-triggered dementia, the Wizard thinks he's helping drought-stricken Central City with a rainstorm when he's actually flooding it with a raging storm. 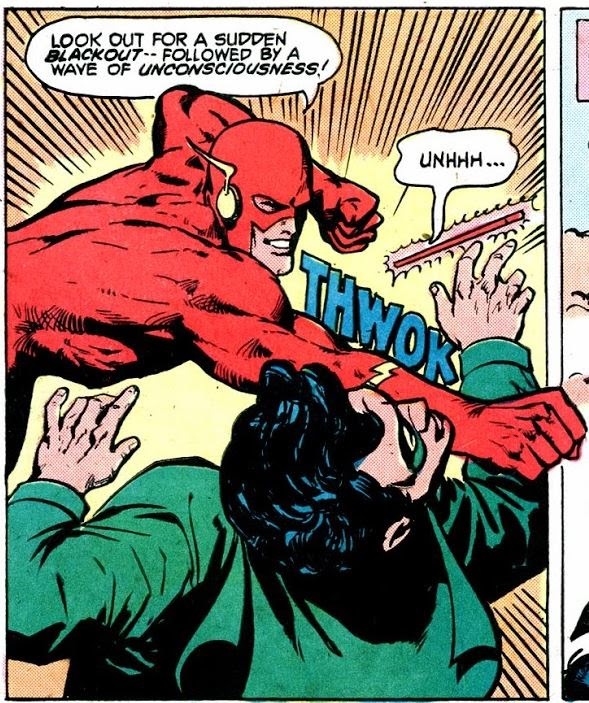 So how will Flash stop him? Tonight's fight music is this electron-charged number by Metallica. I've said it before and I'll say it again...I really do love the Rogues.